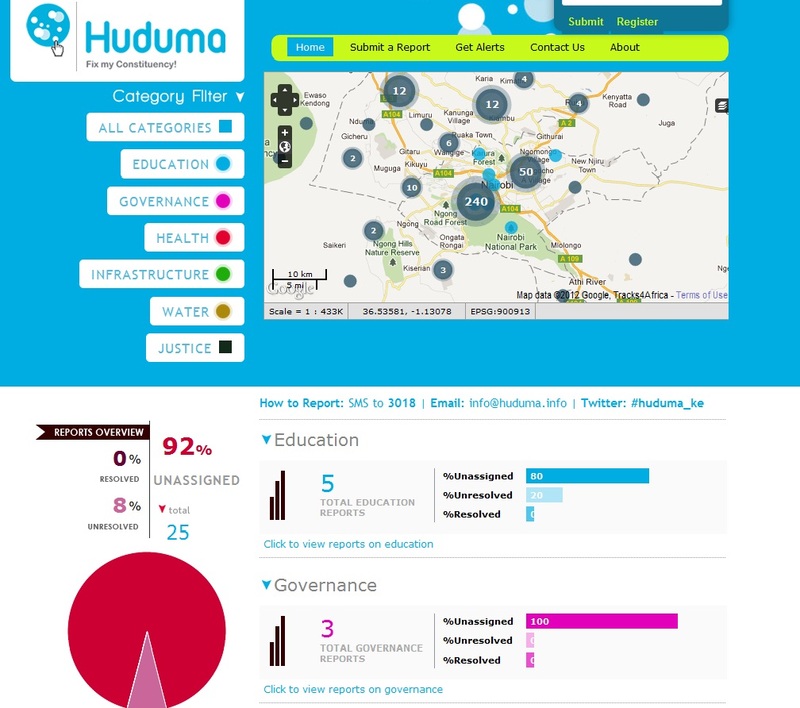 Ugatuzi: A budget tracking tool designed by SODNET to enable citizens to engage in public finance management. It provides constituency-level information on projects funded by devolved funds: project timelines, description, project status and multi-year disbursement schedules. It allows organized groups in communities to input comments and identify incidences of corruption and malpractice. Huduma: A platform that enables citizens to amplify their voices in the demand for services directly to authorities and service providers. It’s a web and mobile-based platform that aggregates and channels concerns and observations of citizens (SMS, voice, video etc) directly to authorities for redress. Uchaguzi: A platform that enables citizens to report any issues surrounding elections and related service delivery concerns directly to election officials, the authorities and the media. Uchaguzi aims to increase electoral transparency and thereby strengthen the democratic process. Nanionline: A platform and portal for social movements that will allow them to connect and interact with one another. It’s with pleasure that we have awarded them a grant of £30,750 to go towards the salary costs of employing an Infonet Development Programme Lead and a Programmer. Both of these posts will allow SODNET to develop the Infonet programme – to expand its reach and improve its efficiency.